Imagine an undeveloped tropical wilderness as big as the State of Victoria, that has fewer than 15,000 residents. The great tapering Cape York Peninsula thrusts into Torres Strait, enclosing the vast brown mudflats of the Gulf of Carpentaria. To the east the fragmented coral ramparts of the wondrous Great Barrier Reef offer an ever-changing kaleidoscope of vivid colour. The peninsula refuses to be tamed and civilised, cutting itself off from Far North Queensland during the wet season with deep floodwaters inundating low-lying areas. Even in the dry season, access into the remote areas of the peninsula is strictly by 4WD vehicle. This patchwork of dry savannah and towering tropical rainforest is one of the last great frontiers of Australia. The peninsula is divided into sacred Aboriginal land holdings, huge pastoral runs and four national parks along the northern extremity of the Great Dividing Range. The highlight of a visit to the peninsula is to stand on the northernmost tip of Australia looking towards Thursday Island. Exploring the Cape area gives one the feeling of being a true pioneer, discovering landscape features like lush forests, coastal coves and headlands that few people have seen. On the journey north along the Peninsula Development Road and The Old Telegraph Track, you can stop off at safe waterholes devoid of crocodiles and go camping, swimming, fishing, hunting, bird watching and rock-hopping, in absolutely remote locations. 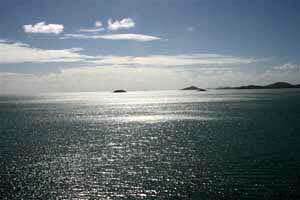 The only sizeable towns in the region are Cooktown in the south and Weipa on the Gulf coast. Some of the small settlements on the road to Cape York have fuel, food and supplies but hours of service may be limited, e.g Lakeland, Laura, Musgrave, Coen, Archer River and Bamaga. 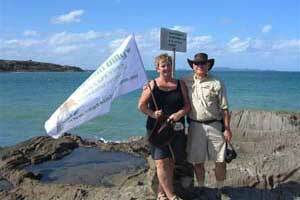 Cape York Peninsula has much to offer visitors who are seeking a ‘true blue’ Aussie adventure. Follow the wheel tracks and footprints of the pioneers who discovered this land. See a huge variety of scenery, animal and bird life, some of which is found nowhere else in the world. When visiting Australia’s most remote peninsula, take your time - untamed wilderness can’t be rushed. Savour your adventures in this special place in the sun. It is a popular escape for 4WD enthusiasts and nature lovers and an unforgettable holiday experience.